When I was a teenage writer, I wrote to the Listowel short story writer Bryan MacMahon looking for literary advice on a story I’d written. I was delighted some weeks later – this was the 70s in the days of handwritten letters – to get a reply, but terribly disappointed with what he said. At the end of the MS I’d sent him, he’d simply written Solvitur scribendo. Luckily, I’d done Latin at school so could translate the words – it is solved by writing. Even so, I’m not sure that at that young age, I fully understood the significance of his pithy advice. I was revisiting that time recently when I was commissioned to write an essay for a collection by and about Irish women writers in their 60s. Given the brief, the piece I wrote was, not surprisingly, about the anxieties of being a writer in formation in the latter half of the 20th century, and being a woman in the same era. Biology has taken care of some of the worries of my young writing life; the pram in the hall is no longer a preoccupation, though regrets remain, of course. Revisiting the pangs of creative doubt and insecurity (these are not exclusively female concerns about writing, I realise, nor confined to the young) coincided with a day-long testimonial seminar on the work of Eilis Ni Dhuibhne at UCD in late January. A panel of writers was asked to look at Eilis’s short stories and respond to them. I chose three stories from Eilis’s recently published New Selected Stories from Dalkey Archive Press, a volume drawn from 30 years of her short fiction. Perhaps because I was primed, I began to see in Eilis’s stories some of the same anxieties I had been looking at in my own writing life for the essay. The three stories, “The Flowering”, “The Banana Boat” and “Illuminations” feature the same character, Lennie (who might be seen as a stand-in for the author) and they revisit her, or versions of her, over several decades. Apart from their qualities as accomplished, stand-alone narratives – which I had enjoyed and admired when they were first published – I discovered looking at these stories together that an intriguing subterranean history emerged; a meta-fictional testament to the anxieties of authorship, and in particular, of female authorship. “The Flowering” is from the 1991 collection Eating Women is not Recommended. Written mostly in present continuous in close third, it features Lennie, a young woman and fiction writer, we suspect, although that identity is very effaced in the text. The story starts with Lennie having a dream, an habitual dream, where she longs for what she calls a “true discovery”. The nature of the discovery she seeks is not made clear (she is not sure of it herself; nothing about this story is sure) but it is related to genealogy and her own identity, a hunger to know her ancestors, and to recognise inherited qualities. Lennie wants to enter the past. As if on cue, the narration segues into a contemplation of place as an entryway – Lennie is staying in Wavesend, a house with many familial connections. The story veers into past tense and becomes Sally Rua’s story – presented as a “real” ancestor of Lennie’s – a mid 19th century housemaid and wizard crochet and lacemaker who once lived in Wavesend. Sally is sent out to work as a teenager, but is ultimately driven mad by her employer’s refusal to let her practise her lacemaking craft and after some inappropriate behaviour she is banished to a lunatic asylum for the rest of her days. Sally Rua’s story could be seen as a fiction that Lennie is working on, although this is not made explicit, which fits in with general understatedness of the story. Lennie’s writing and her identity as a writer remain occluded in the narrative. What is made clear, however, is that Sally Rua’s story within a story, is total invention. “Of course, none of that is true. It is a yarn, spun out of thin air,” Lennie tells us nonchalantly. In “The Flowering” there is a double stand-in going on. Sally Rua stands in for Lennie, who may stand in for the author, and Sally carries the burden of the thwarted art-maker. The author brings out the big guns in terms of plot to “punish” Sally Rua for her artistic impulses – cheerless servitude and incarceration in an asylum – perhaps an indication of the author’s own interior state vis a vis her literary ambitions in the prevailing conditions. Eilis has said that Lennie in “The Flowering” mirrors aspects of her life in her thirties. She used the story as the basis of a play in the 1990s. “When I revisited . . . Lennie, she seemed alien to me. I thought, this is a woman in the throes of a nervous breakdown; she is half mad. It was strange to go back to that story and that time. The nervous breakdown was like Sally’s, in ‘The Flowering’: desperation at the difficulty Lennie faced in trying to develop as an artist – to write – while holding down a full-time job and being a mother and housewife,” she said in an interview in the Irish Times in September 2017. But what comes through in the story is not just despair and madness – conveniently relocated to Sally Rua’s story – but something more deep-seated and chronic i.e. Lennie’s uncertainty about her own identity and the place of fiction in her life. Sally Rua’s story may dominate the narrative, but Lennie reminds us that it is she who has “embroidered” the story about Sally. She does exist, Lennie tells us, but can we believe her? She’s a fiction writer, after all, and she declares that “she does not see much difference between history and fiction, between painting and embroidery, between either of them and literature”. The story ends on a question – if Sally Rua (Lennie’s fictional construct) does not exist, then “where does that leave Lennie?” Here the anxiety takes on a more existential hue. Fiction in this context is seen as life-saving, as therapy, as granting definition, but even within the fiction, Lennie cannot trust – or believe in? – her own invention, another distinctly authorly preoccupation. “The Banana Boat” dates from 2000, a decade later. In this story, Lennie is also a decade older, aged 45. She is on a family holiday in Kerry with husband Niall, and two bored teenage sons, John (16) and Ruan (14). Family life is foregrounded in the story. There is no direct mention of Lennie’s writing except when the family stop off en route to Tralee at a furniture shop to buy a table for Niall – and her – to write on. But the table is never bought because the shop is closed. However, although Lennie’s identity as a writer is barely mentioned, the story is peppered with secondary literary references which clearly reveal Lennie’s writerly sensibility. Authors are constantly name-checked – Peig Sayers, Tomas O Criothain, Erskine Childers. 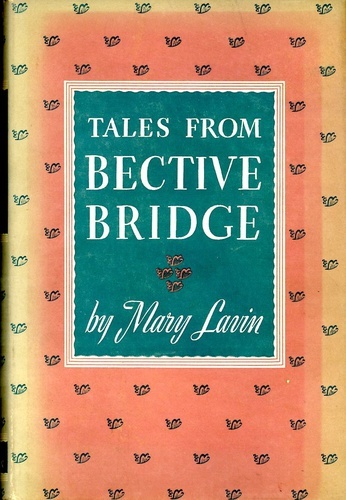 Two short stories, “Miles City Montana” by Alice Munro (from the collection The Progress of Love) and “The Widow’s Son” by Mary Lavin (Tales from Bective Bridge) are cited specifically with relation to the plot. The story opens in an idyllic setting in west Kerry. Although bad weather has been forecast, it never comes. “It was so beautiful, in this sunshine, that you could believe it was real.” But despite this, Lennie is anxious. The stated reason is that she’s a worrier, by nature. And then her fears are made manifest. Lennie’s younger son goes into the water and gets into trouble and there is a moment where she sees that this could be a hinge in her life, when she steps away from the normal into tragedy. But even in the midst of the drama, she’s seeing the event in narrative terms, calculating how the story might be told. “I realise right now that there are two ends to the story, two ends to the story of my day and the story of my life.” Here she refers specifically to the Munro and Lavin stories. In “The Widow’s Son” by Mary Lavin, the eponymous young man is killed off his bike trying to avoid one of his mother’s chickens; in the second option, he saves himself and kills the chicken, but it causes such a rift between mother and son that he leaves home and is never heard of again. This is a kind of a Hobson’s Choice for the reader – neither of the endings is very palatable. Whereas both “Miles City Montana” and “The Banana Boat” present only a binary choice – life or death – but explore the choices offered when tragedy has been averted. 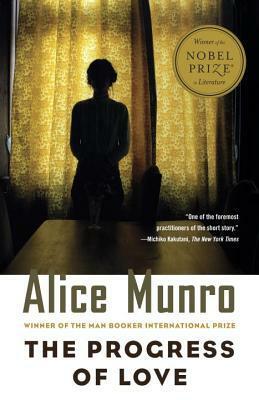 But the difference between them is that Lennie reaches for fiction in the heat of the drama, while Munro’s character waits until the “post-mortem”. Although, paradoxically, this life is being described in a book. When the crisis is over, Lennie tells us she jots down “these thoughts” – which seem to become the story (rather like “The Flowering” where the fictional element is displaced into the telling of Sally Rua’s story). But in this narrative they are only “thoughts” – they don’t even qualify as a story, per se, such is Lennie’s anxiety, or is it superstition? As if it’s a self-reflexive recoil on her part about reacting to the near-drowning of her child, firstly as a writer considering narrative tropes, and only secondly as a mother? Added to that Lennie is asking – can the domestic ever be the stuff of literature? In this story, Lennie is revealed as even more unresolved about her identity as a writer than in the earlier “The Flowering”. For me, the ripples of “The Banana Boat” extend out beyond plot to these underlying doubts that torment Lennie as a character. After reading this story I found myself wondering about her future, outside of the frame of the story, and was waiting for the next instalment. “Illumination” is written another decade on – in Eilis’s 2012 collection, The Shelter of Neighbours. Written in the first person it features an unnamed writer – for once not in the domestic setting but in a place where her identity as a writer is foregrounded, a Californian writers’ retreat. She has two children, aged 17 and 15; if this is Lennie (although that is not made explicit in the text), then going by their ages, this experience happens only a year after “The Banana Boat”. But despite having escaped the domestic sphere – although she mentions that her children wonder why she has left them for a month – she can’t quite surrender to the freedom the retreat affords her. If this is Lennie, it is the first time we see that, despite the sometime crippling anxieties of authorship, she has been busy writing all along. Yet, the unease remains. In effect, something wonderful does happen – an unsettling but transcendent encounter with a family who live in the woods, which may be a dream, or, again, could be the dream-like fugue that accompanies the fictional process. Are we witnessing in the creation of the story of the strange perfect family – and isn’t it interesting that they are a family – what Lennie is actually working on? Another story within a story? And yet, despite all the literary disappointment, we find that by the end of this latest Lennie instalment – if that’s what it is – that she has gamely adopted the Beckettian hashtag – I’ll Go On. It seems to me at the end of this trio of stories, Eilis has worked out and perhaps resolved a subtextual, and perhaps subconscious, puzzle she set for herself; how can I be both a woman and a writer. Bryan McMahon’s wise words came back to me then. The writing, your own and other people’s, will solve it for you. Prev A star of our time? ‘The writing, your own and other people’s, will solve it for you.’ Says it all.